Congrats! I've been following this story since 2017, glad you finally got him! Looking forward to hearing of your next adventures. Was a good run alright. Great ending to a very interesting tale! Getting the hide done into a rug? Be somewhat interested in just what his skull both looks like (battle scars?) and scores. Almost finished cutting, trimming and a little grinding. 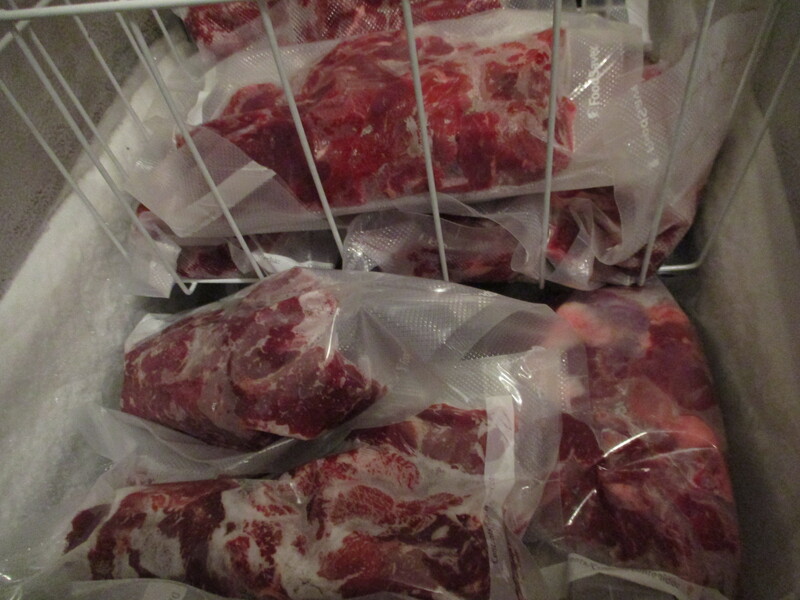 I like to get most of the fat off, but I leave some silver skin on (it's easier to slice off when frozen and helps prevent any freezer burn) ... All this helps keep it nice and tasty, even well after a year. Great story!! Nice to see you close the book on this bear. Congrats and thanks for sharing. Great Story... glad you got him! There is almost nothing we can do without being extorted by various levels of government. If you still think you're free, you are deluding yourself. We are just free-ranging humans living on a tax farm. If you don't have a seat at the table then you are probably on the menu! LOL awesome job getting that bear. Problem with chasing a animal for years when you get him your like oh man its over?